I feel like sometimes with all the hype that surrounds certain YA books, there’s some really great books that get drowned out. The books below are a collection of five books that I thought were fairly under the radar. Hopefully at least of these books is a hidden gem for you and you find yourself with a new favorite. 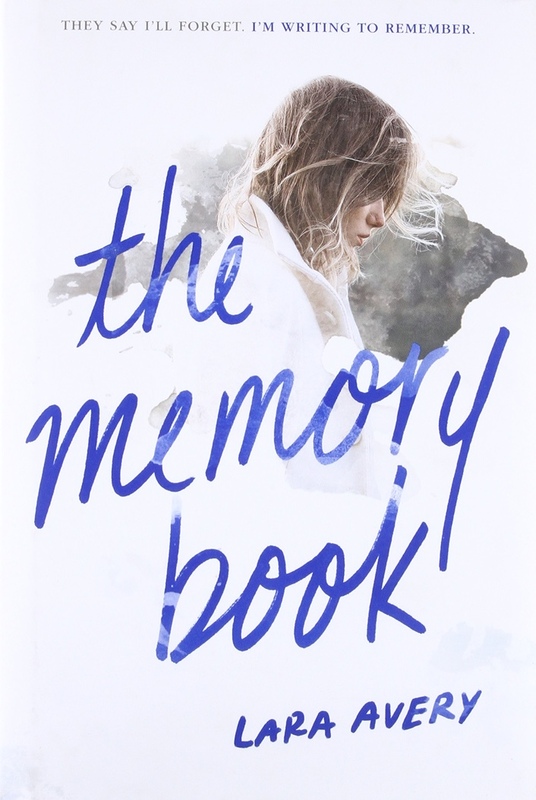 FYI, for me, that new favorite is The Memory Book by Lara Avery. One week. That's all Jessie said. A one-week break to get some perspective before graduation, before she and her boyfriend, Chris, would have to make all the big, scary decisions about their future--decisions they had been fighting about for weeks. Then, Chris vanishes. The police think he's run away, but Jessie doesn't believe it. Chris is popular and good-looking, about to head off to college on a full-ride baseball scholarship. And he disappeared while going for a run along the river--the same place where some boys from the rival high school beat him up just three weeks ago. Chris is one of the only black kids in a depressed paper mill town, and Jessie is terrified of what might have happened. As the police are spurred to reluctant action, Jessie speaks up about the harassment Chris kept quiet about and the danger he could be in. But there are people in Jessie's town who don't like the story she tells, who are infuriated by the idea that a boy like Chris would be a target of violence. They smear Chris's character and Jessie begins receiving frightening threats. Every Friday since they started dating, Chris has written Jessie a love letter. Now Jessie is writing Chris a letter of her own to tell him everything that's happening while he's gone. As Jessie searches for answers, she must face her fears, her guilt, and a past more complicated than she would like to admit. 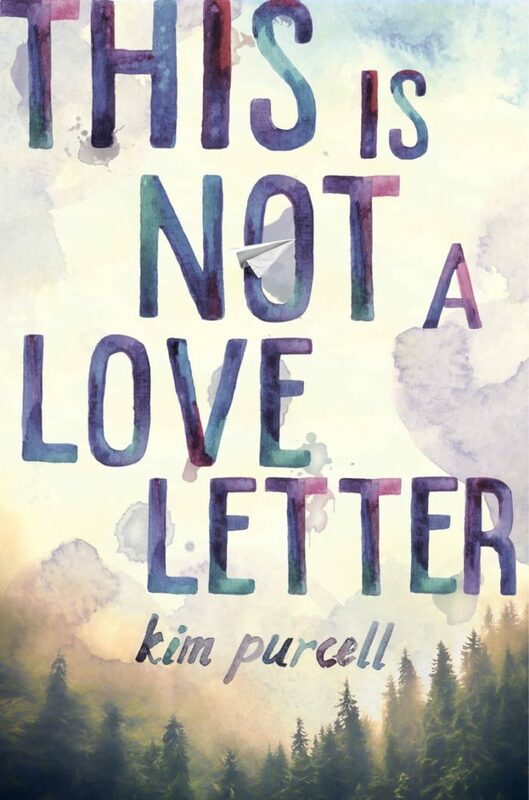 This Is Not A Love Letter by Kim Purcell appeals to me on that level that all books made up of letters appeals. Namely, I love them. I am such a fan of books told in this format, I guess because it does feel like you get this intimate glimpse of the characters. Of course, Purcell’s book follows main character Jessie as she writes letters to her missing boyfriend, Chris. Purcell’s This Is Not A Love Letter takes on some heavy topics. At the core, aside from being about a relationship, it is about the racism that Chris experiences as one of the few young men of color in his town. Now that I have read this book in October and am looking back on it from the point of view of January 2019, I almost feel like my thoughts on this book have changed. While I think it is super important to raise awareness of racial profiling and racism in small towns, I wonder if it was really the voice of a white girl that we should privilege in that conversation. This whole book and story of Chris’s disappearance is told from the white gaze. So, I guess yeah it is important to talk about relationships and racism and mental health, but maybe just maybe we should be privileging own voices in that conversation? Otherwise, I felt like This Is Not A Love Letter was a really quick read. I thought the relationship between Jessie and Chris was interesting – because they have to set some boundaries and because it does feel a little bit consuming. There also is a pretty thoughtful exploration of Chris’s mental health. Also, I liked that Jessie actually did not come from the middle class and works a job and probably was not going anywhere after high school unlike Chris. There’s a lot to think about and unpack with this book and well, it wasn’t a huge release, thus I think qualifies for under the radar. I have been sleeping on Zoraida Cordova’s books and have regrets. There are the hallmarks of all the things I like – magical realism, witches, family bonds, NYC. Why, oh, WHY did I wait so long to get myself into Brooklyn Brujas. As you may have gathered, Brooklyn Brujas is a series that basically follows one sister as she deals with a large issue relating to her magic. The first book, Labyrinth Lost follows middle sister Alejandra (Alex for short). She has this massive amount of power – she’s considered this generation’s enchantrix. Only, she does not want that power. So, using advice from this shady guy, Nova, she tries to do a ritual on her deathday to get rid of the power. Only it backfires and her family ends up trapped in the magical realm. OH and you would think Nova is the love interest. HE IS NOT. In fact, it’s a girl, Rishi. And that was quite the wonderful addition to the story. Let me say that I was 100% here for that. Overall, an interesting look at expectations and how sometimes it is not a bad thing to lean into them. When Alex accepts who she is and leans into it, I think that things really started to go her way. 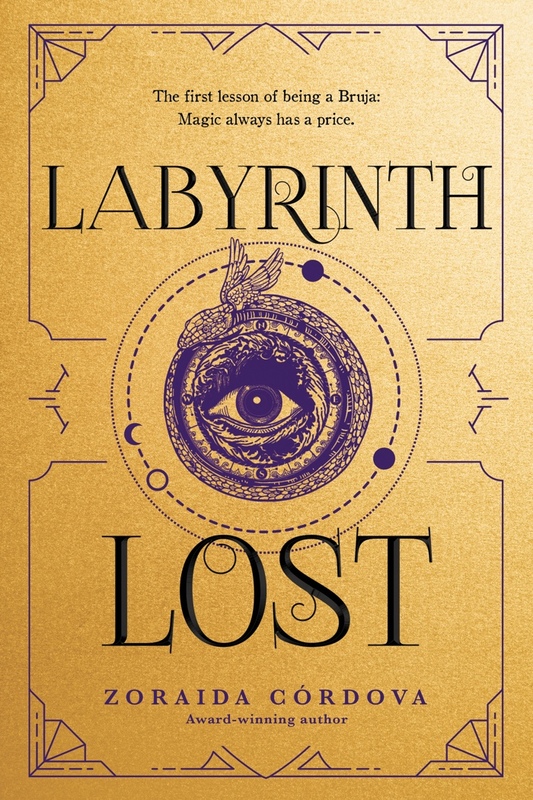 Then, the second book picks up kind of close to the end of Labyrinth Lost. Bruja Born follows the oldest sister, Lula. She has the power to heal. Anyways, she’s on a bus ride to a game and there is an accident. Unfortunately, everyone dies, including her boyfriend. Lula ends up bringing him and a bunch of other people back to life. This is fine and dandy, only he’s not the same. So, similar to Labyrinth Lost, Lula’s power backfires. She’s got to get her messed all cleaned up because these people are actually going around eating people — kind of like zombies. 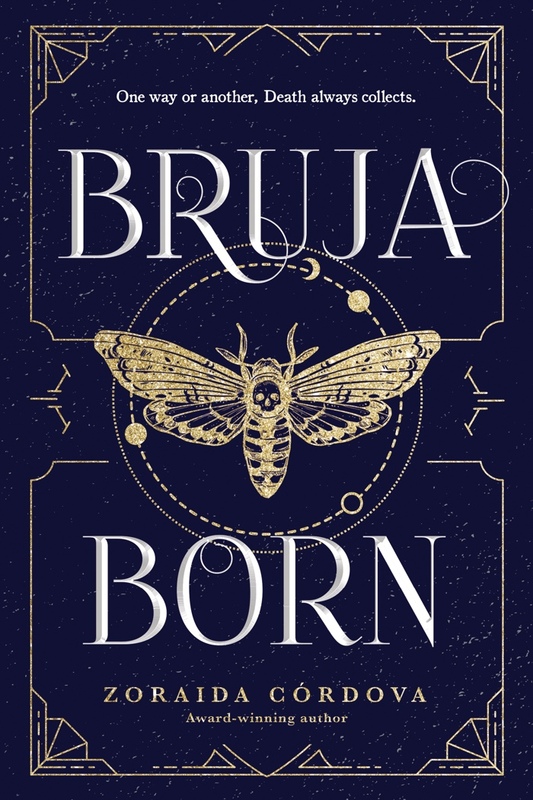 I actually enjoyed Bruja Born a little bit more, maybe because I could relate to Lula in being the oldest. Also, I could relate in making some not so great choices out of love. OH and also, their dad is back which adds in a pretty important family dynamic. Seventeen-year-old Cassie Hobbes has a gift for profiling people. Her talent has landed her a spot in an elite FBI program for teens with innate crime-solving abilities, and into some harrowing situations. After barely escaping a confrontation with an unbalanced killer obsessed with her mother's murder, Cassie hopes she and the rest of the team can stick to solving cold cases from a distance. But when victims of a brutal new serial killer start turning up, the Naturals are pulled into an active case that strikes too close to home: the killer is a perfect copycat of Dean's incarcerated father—a man he'd do anything to forget. Forced deeper into a murderer's psyche than ever before, will the Naturals be able to outsmart the enigmatic killer's brutal mind games before this copycat twists them into his web for good? With her trademark wit, brilliant plotting, and twists that no one will see coming, Jennifer Lynn Barnes will keep readers on the edge of their seats (and looking over their shoulders) as they race through the pages of this thrilling novel. 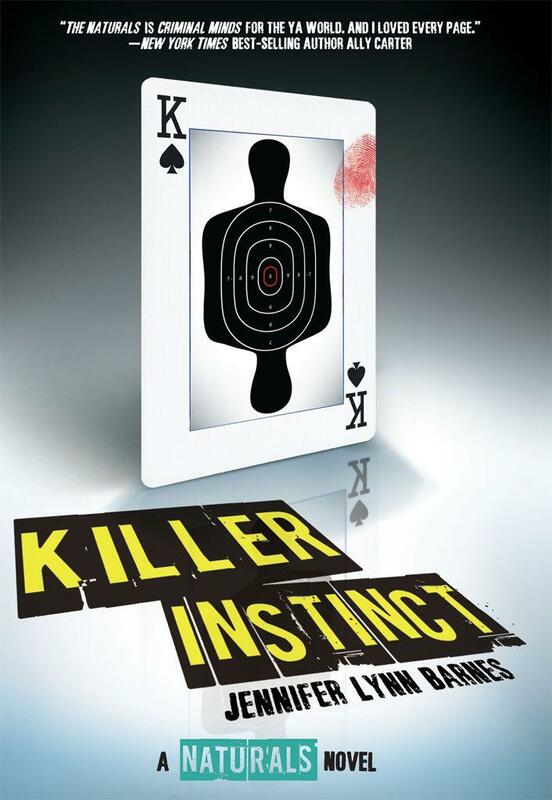 Killer Instinct is the second book in Jennifer Lynn Barnes’s The Naturals series which basically follows a group of teens who are naturals at solving crimes. In this book, a murder has happened in connection with Dean’s father who is in prison. Meanwhile, Cassie is trying to decide who she likes more – Dean or Michael. Also at the same time, the Naturals program is getting oversight from a new agent, Veronica Sterling. It almost feels as though the walls are closing in on Cassie. Still, she does what she must with the help of the others – Lia, Michael, Sloane, and Dean to solve the latest series of murders. Initially, I wasn’t sure how I would feel about this book. I have been putting it off FOR years. However, with this renewed dedication to clear my Netgalley queue, I decided to get to Killer Instinct FINALLY. Also, I feel like these books could have a resurgence now. It might just be me, but I feel like thrillers are everywhere these days. Anyways, this book kind of feels slow paced. Like, it took me what felt like a long time to get through. Yet, by the end I was sucked in and excited to find out who the killer was. Maybe it is because that is when some major action happened, as well as character development for Cassie. Plus, a hint at romance. I think that readers who are into thrillers should definitely do a throwback and give this series a shot. They’re compelling and will draw you right in. At this point, I actually think I am going to seek out the next book in the series (I own a copy of the final book) and actually finish it. I found Killer Instinct to be THAT compelling. I must have read The Memory Book by Lara Avery at exactly the right perfect time in my life. I mean, I would probably love it no matter what. However, I just connected SO hard with the audiobook. (Also interesting to note, this book was released on my birthday in 2016). Anyways, sometimes I feel a little guilt for not immediately getting to a review copy. So, I end up listening to the audiobook of whichever review book. It’s always a toss up how that will go. In the case of The Memory Book, audio was completely the right way to go for me. The narrator, Casey Holloway just nails the main character Sammie McCoy so well. To give you all context, this book is about a girl who has NPC which is a degenerative brain disease. The expectation is that her body will lose functioning and then she will also forget things and well, eventually die. With that kind of prognosis, you probably would expect this book to be melodramatic and cliche. It isn’t. In fact, I would go so far as to say it is a celebration of life and living. Sammie has this amazing family – her mom, dad, and three younger siblings who she helps take care of. Then she has a friend, Maddie, who she lets close but never completely in. Meanwhile, she’s also interested in two boys – Cooper, her neighbor and childhood best friend turned pothead and Stuart Shah, a boy two grades above her if I remember right who is this amazing writer. So, she’s figuring all these parts of adolescence out while also knowing that she has an expiration date, so to speak. Anyways, this book is just so beautifully written. It’s so easy to connect with Sammie and really care about her – flaws and all. And y’all, I sobbed at the very end of this audiobook. I’ve not had that kind of emotion reading in a very, very long time. AND IT WAS THE SECOND book to make me cry in one day (I also was finishing up Ruin & Rising which made me tear up too but NOT like this book). I 100% think you need to get your hands on the audiobook and read ASAP.